After the “September Keynote”, Apple users will update to iOS 10 from September 13th onwards. This will be the biggest iOS release ever. The technical updates and design changes made by Apple promise to make the OS better. However, the improvements might also create difficulties for users. According to Tech Radar and Qelp’s content experts, iOS 10 will transform the way iPhones and iPads are used. This is a result of the interface and functionality changes of the lock screen and some of the most popular apps. As Marc van den Hurk, Head of Content at Qelp, remarks: “The update is going to add a lot of interesting new functionalities, which will take consumers some time to get used to”. Lock screen comparison – iOS 9 (on the left) and iOS 10 (on the right). The new Lock screen in iOS 10 is more actionable and interactive. No need to unlock your phone to use widgets, check the notifications, take a photo or reply to iMessage. That is why we created a “Getting started with the Lock screen feature” tutorial to educate users how to use the new functionality. The benefits of adding iOS 10 support content are not only limited to providing better customer care. According to Forrester, having online tutorials available will likely reduce cost by deflecting agent-assisted interactions. Providing those tutorials to your customer service agents will help them solve customer issues much faster. Considering the importance of smartphones for consumers, even small changes in the OS can have major implications, Tech Crunch remarks. However, the changes unveiled in Apple’s iOS 10 public beta are anything but small. Apple plans to roll out the biggest software revision since the first iPhone nine years ago. “You won’t recognize the interface, it’s that different,” according to Tech Radar. While the updates aim to make the user experience even better, the changes may initially bring some difficulties. To reduce the friction and offer better support to their customers, mobile operators should have the support content ready for all customer touchpoints on the day of release. As online self-service is becoming customer’s first point-of-contact, solving users issues online will reduce the number of calls to your contact center. Based on Apple’s information and sources as Tech Crunch, Tech Radar, Cnetand Forbes, we have summarized a list of new and redesigned features and apps. Although they might be subject to change, you can use the list as a starting point for your support content planning. Before attempting to install the update, iPhone users should be aware of their device compatibility. iOS 10 is available for iPhone 5 and later models. As pointed out by Co.Design, the once minimalistic IOS on-boarding process has gone from 5 steps to 45 steps, taking seconds to taking minutes. It would not be surprising if the on-boarding process of the iOS 10 official release is filled with service sign-up screens and several terms-of-service agreements. Indeed, that’s why creating a step-by-step supporting tutorial could be valuable to many users. 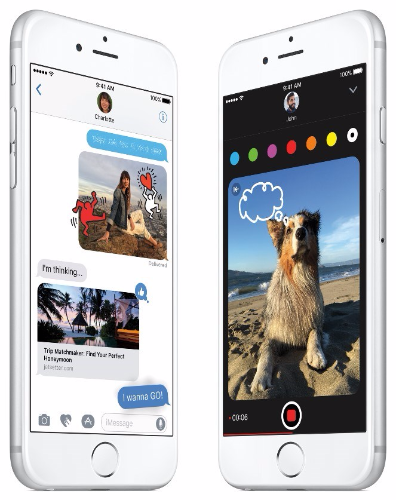 Apple’s redesigned message app is one of the biggest changes from iOS 9. iMessage will now contain many exciting features like new emoticons, stickers, GIF support, secret messages and so on, making it much more fun to use. And as the app is now open to developers, Cnet expects a “dizzying amount of options by launch”. 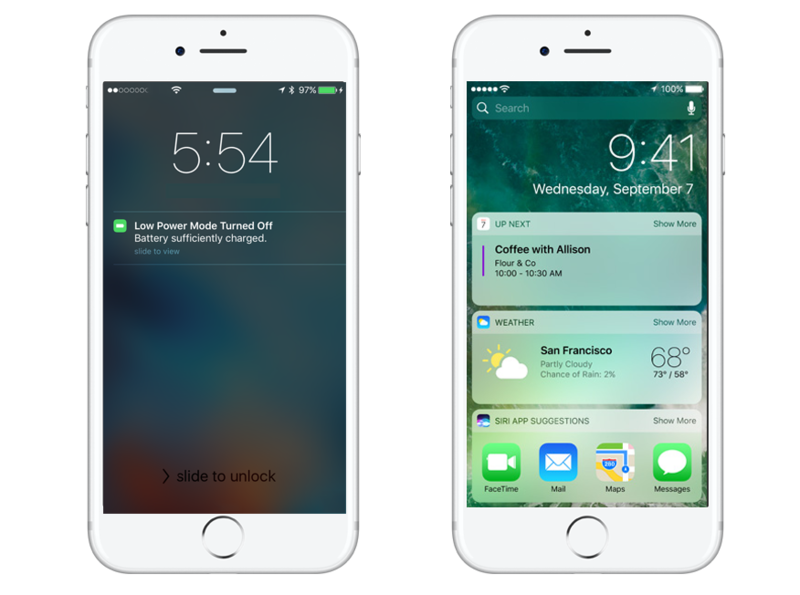 In the new iOS 10, the lock screen has been transformed into notification hub. Users are now able to utilize a major part of their phone’s functionality without even unlocking it. The “Rich Notifications” allow them to reply to messages, use navigation, view videos and more directly from the lock screen. As this will inevitably raise security concerns among many, operators can address the issue with useful tutorials. According to Tech Radar, the control center has been decluttered. As it has been redesigned, support tips about functionality, app shortcuts and navigation could be useful. The Home app brings control over home automation products for thermostats, lights, window shades, door locks, video cameras and more. As adoption of the Home kit gros in the future, more and more users will be interested in learning about this exciting new functionality. The news app is now reaching more than 60 million monthly users. The iOS 10 redesign also brings new functionality, personalized topics and paid subscriptions. With the new iOS 10, for the first time, users can remove and reinstall some built-in Apple apps. The iOS 10 beta has been received with enthusiasm from developers and tech-savvy users. However, we are yet to see regular users’ reaction to the massive system overhaul. The upside of being prepared for the biggest iOS revision ever could not be overstated. However, producing high-quality, interactive content which is optimized for your users’ search inquiries might be pricy to do in-house. Learn how Qelp can help you to deliver high-quality self-service support to your customers. For Qelp customers, we have the iOS 10 support content ready in the QelpCare application on the day of the launch.